These days, every successful video game franchise releases special editions to retain titles. The Call of Duty series has been trending in the market and it's still one of the video games out there. We have been waiting for the new upgrades Call Of Duty: Black Ops 4 has to offer this year, now they have done it again. This years release of Black Ops 4 is out but things are a little bit different and juicier than the normal yearly season upgrades and digital goodies. 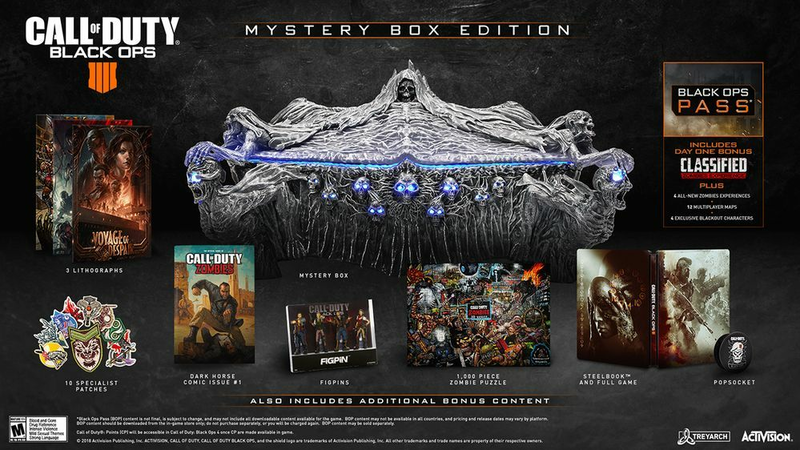 At this year's San Diego Comic-Con, during the Call of Duty: Black Ops 4 Zombies panel the publisher Activision just announced a special Black Ops 4 Mystery Box Edition, and the box is said to be very electrifying. Focusing more on the design, the design is awesome and it is inspired by the previous Black Ops Series zombie game mode, we don't know the exact size of the box yet but it will come with a creepy skeleton-themed box that lights up and even play creepy zombie sounds. In this years edition, the players will have access to mystery zombie collectible boxes which includes an eerie skeleton exterior with frightening sounds and lightning. This special edition will also feature a Multiplayer Combat Mode with lots of zombies and three full Undead Adventures at launch. 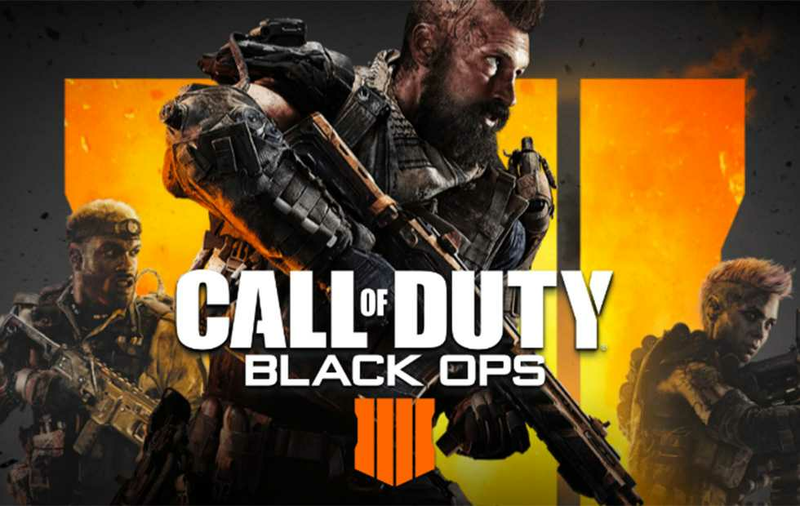 Players will also be given a copy of Black Ops 4 game in a Steelbook case, the first issue of the Call of Duty Zombies comic book from Dark Horse which will unveil the backstories of zombie hero's, exclusive set of FigPins of the four new zombie hero's, also with a PopSocket intimidating skull logo to show off your Black Ops and many more.. The release date of the Call of Duty: Black Ops 4 is October 12th and will be on Xbox One, PS4, and PC. The new Mystery Box Edition of Black Ops 4 will be priced at $200.